Friday was the final day of my recent visit to DC. I needed a lunch place to try before flying out, and ended up going to edomae sushi spot Ogawa. 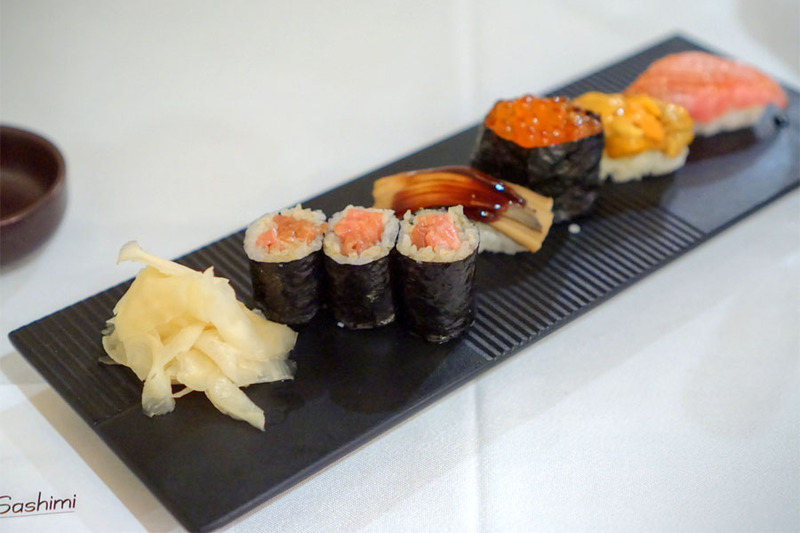 Situated in Kalorama, the restaurant was opened less than two years ago by Chef Minoru Ogawa and General Manager Can Yurdagul (who's also the Chef's son-in-law). About the Chef: Ogawa Minoru was born and raised in Tokyo, the son of a sushi chef. He began his training around the age of 18 at his father's sushi-ya in the Nippori area of Tokyo, a place that's been open for over 50 years and is currently run by his brother. He eventually came to the States, and then to the District. 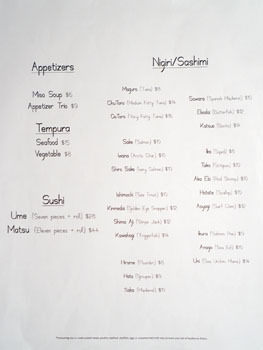 Here, Ogawa began making a name for himself at Hisago, which opened in 1987 in Georgetown's Washington Harbour development. In December 2000, he helped debut Kenji Akiho's fine dining spot Japone near Dupont Circle (beneath the existing Café Japone). 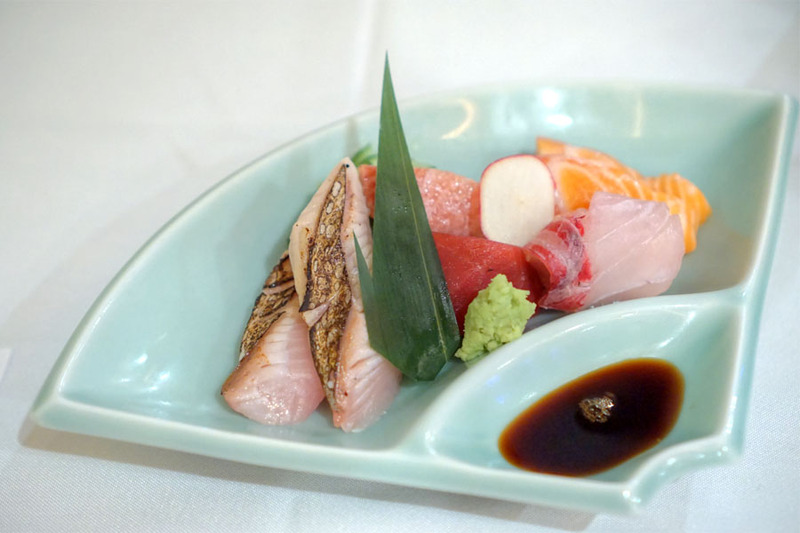 Following, the Chef oversaw the sushi programs at East Coast locations of the Mandarin Oriental for a number of years. 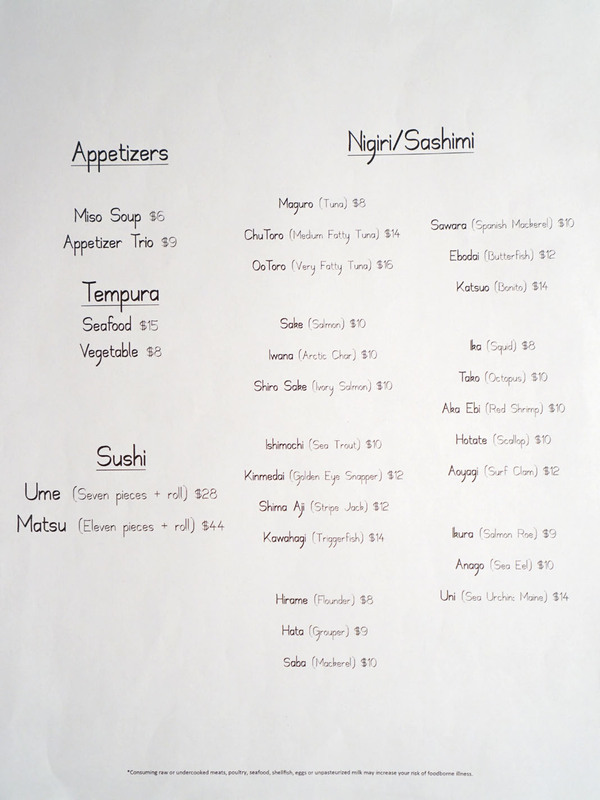 In June 2013, Ogawa finally opened his own place, Sushi Capitol, a small but popular spot in Capitol Hill. Its success allowed him to start work on the higher-end Sushi Ogawa, which launched in February 2016 in the former home of middling Italian eatery Pines of Florence. In May 2016, Ogawa and Yurdagul announced that they would be taking over the old Seasonal Pantry space in Shaw. 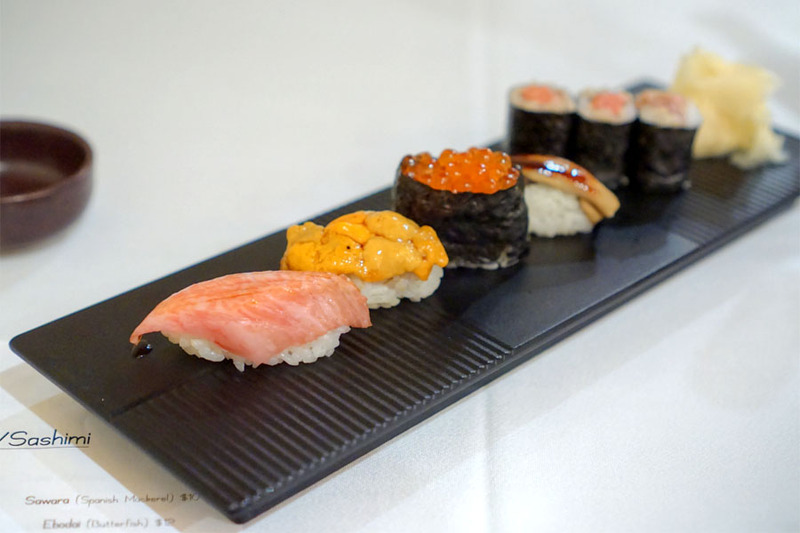 Dubbed Mirai, the restaurant opened in July this year with an eight-seater sushi bar serving omakase meals that are a bit less formal than those at the Chef's namesake eatery. Ogawa's lunch omakase is $80 a head, or $60 for sushi only, and there's an à la carte menu available too. 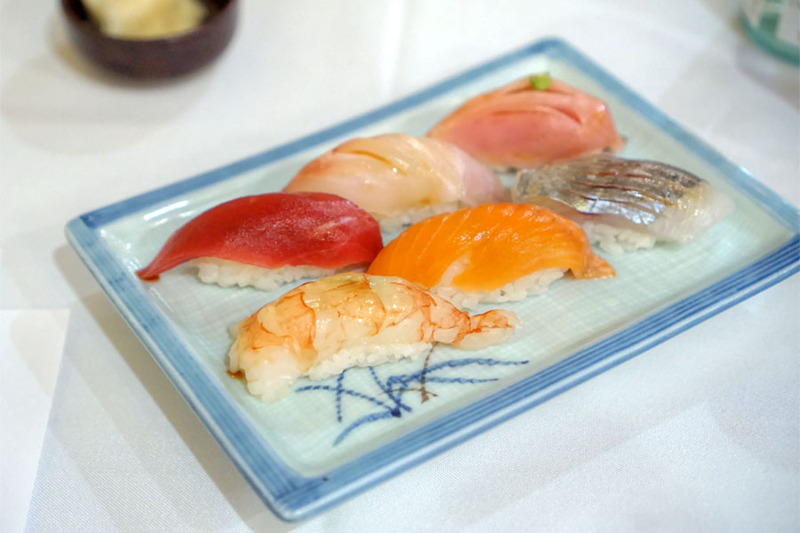 For dinner, the flagship ~13-course omakase is priced at $100 and up, and is only offered at the seven-seat sushi bar. 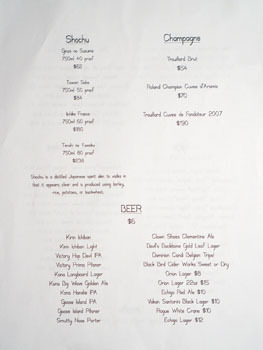 There's also an $80 option in the dining room, as well as à la carte. 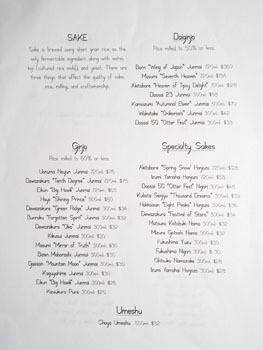 To drink, you get a decently sized sake selection with a lot of small format bottles. 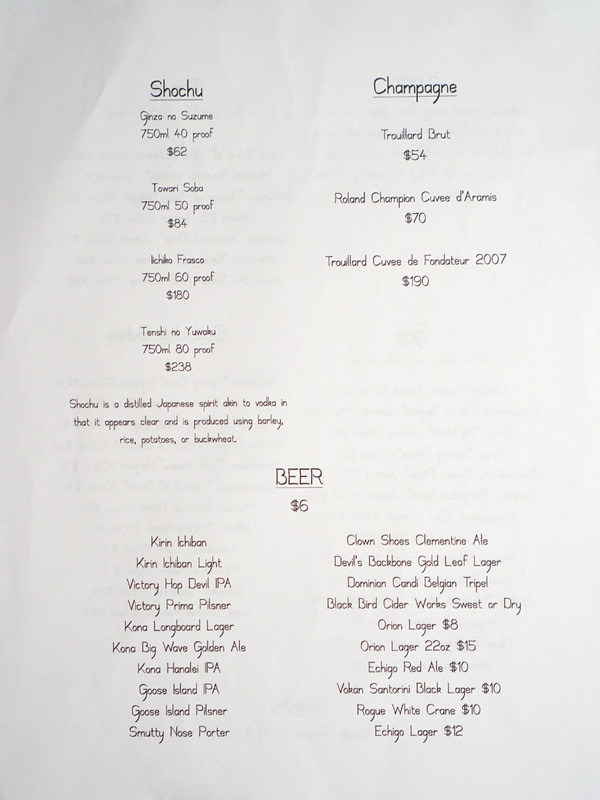 You'll also find shochu, three Champagnes, and a surprisingly lengthy beer list. Click for larger versions. For the first zensai, we had hotate with chrysanthemum, wood ear, and tomato. 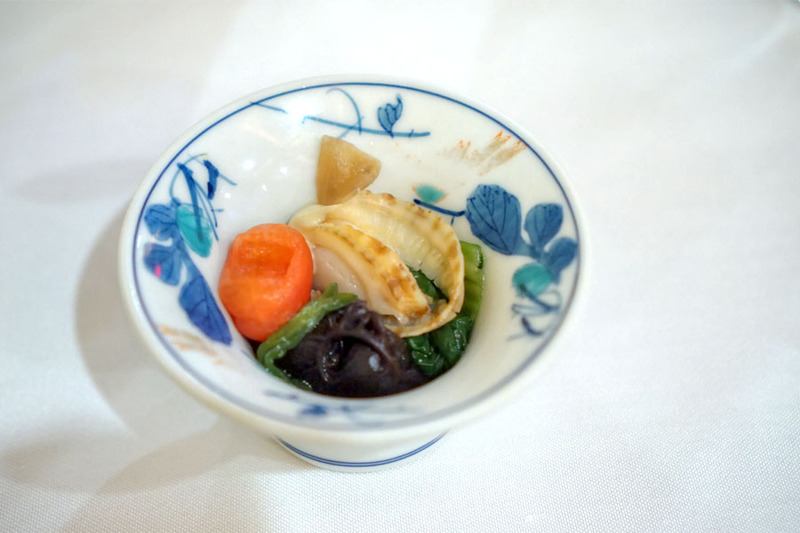 The scallop ate soft, briny, while the greens imparted a pleasant bitterness to the bite, and the ki kurage a subtle crunch. 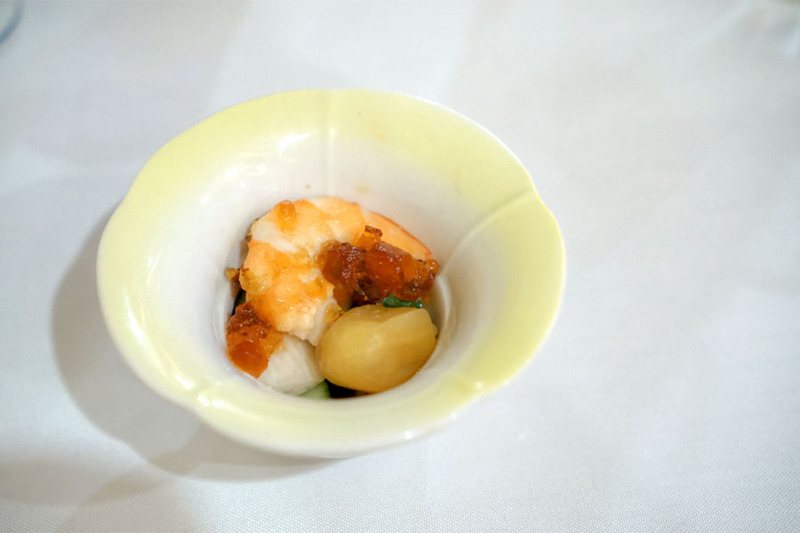 Sweet shrimp arrived with a bonito-based tosazu jelly, tomato, potato, and cucumber. The amaebi was delicate in taste, but was heightened by the tangy, savory, and somewhat sweet notes from the jelly. The veggies worked to moderate the strong flavors at play, and I was especially fond of that potato. Next came a few varieties of tempura. Green beans were light and almost fluffy, with a great saltiness, while the red shrimp head ate saline and utterly satisfying. The most substantial portion on the plate was certainly the shima aji (striped jack) cheek, which I found super juicy, briny, and perfectly perked up with a squirt of citrus. To drink, I had a bottle of Matsuno Kotobuki Nama [$32], a ginjo-class namazake from Tochigi Prefecture's Matsui Shuzoten that I didn't end up getting charged for. Nose of light citrus, subtle herb, and a touch of heat. 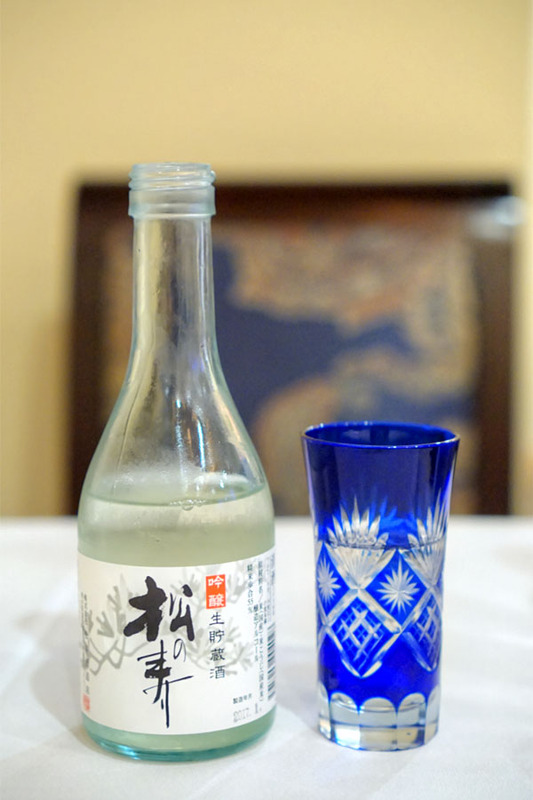 On the palate I found the sake smooth, dry, with berry fruit and a pleasant acidity. Quite nice. Sawara - Some king mackerel, a relatively mild-flavored, cleanly-textured fish with a beautiful char. Maguro - A classic presentation of lean bluefin that really opened up with a brush of soy sauce. Ootoro - Firm, fatty, dense, and nearly melt-in-your-mouth bluefin that really called for a touch of wasabi for balance. Ishimochi - Sea trout ate clean and lean. Masunosuke - King salmon belly, which was properly fatty, with a creamy, somewhat "sticky" consistency. Maguro - Lean blue fin in perfect balance with the shari and shoyu. Hata - The grouper had quite a bit of chew to it, along with a minty quality and plenty of 'sabi. Katsuo - Wonderfully smoky bonito, with a deep, lingering savoriness. Superbly balanced by the rice, and probably my favorite of the bunch. 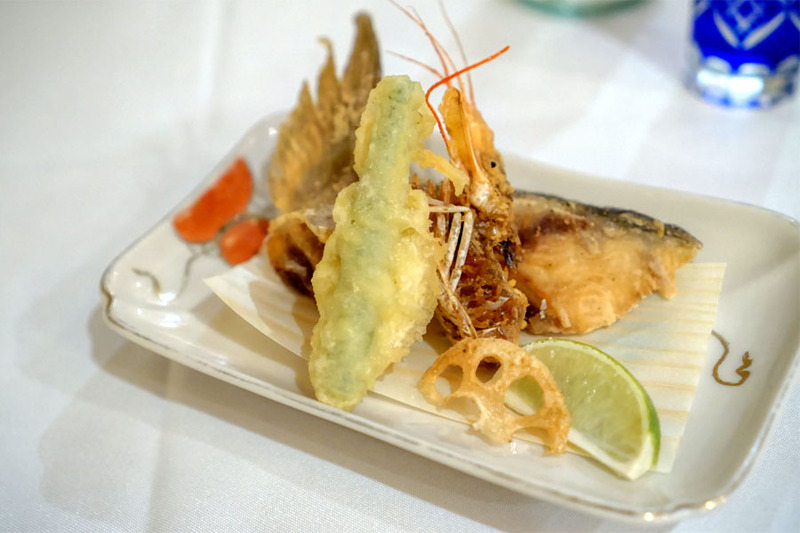 Aka Ebi - Texturally, the red shrimp had a good mix of snap and suppleness, and its subtle sweetness led to strong notes of wasabi on the finish. Iwana - The arctic char was easy to eat, though a bit nondescript I'll say. Ebodai - Butterfish was definitely full flavored, with a pure, refined, lingering salinity. Ootoro - This almost oozed fat, but had its intensity well-moderated by the rice. Uni - Sea urchin from Maine, which I found soft and eggy, with plenty of sweet brine. Ikura - A classic presentation of salmon roe, with the nori in full effect. Anago - Soft, savory sea eel from Tokyo Bay, with a brushing of sweet sauce. Toro Maki - Prototypical fatty tuna rolls were a change of pace from the nigiri. 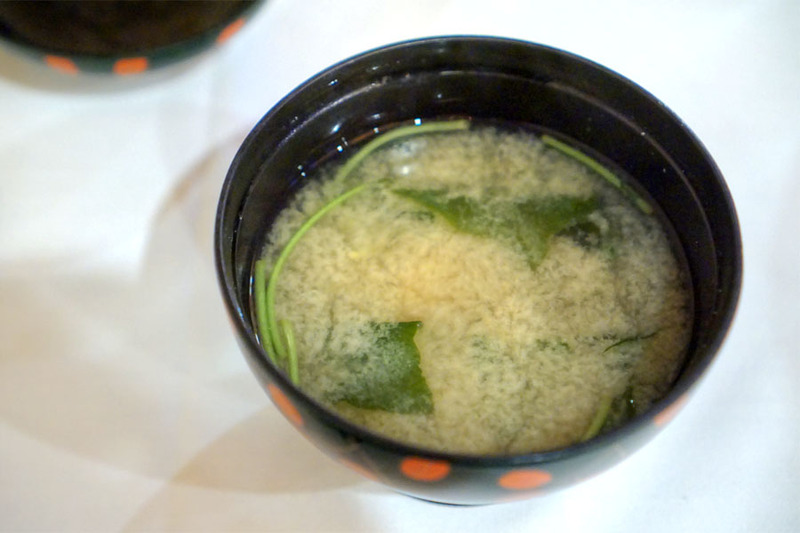 Next was a classic, clam-enriched miso soup that had a welcomed bitterness from all the greenery. Shiro Sake - The belly of white salmon; think super fatty, creamy, buttery, soft. It was one of the most luscious pieces of fish I've had, and I could actually see this being overwhelming for some diners. 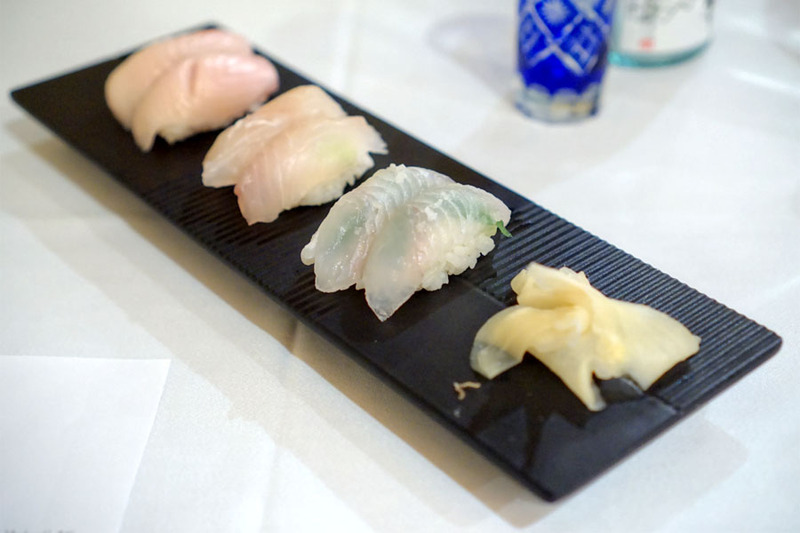 Kawahagi - A firm, almost crunchy presentation of triggerfish. There was a very apparent mintiness here, and I'd say that it could benefit from a bit more soy. 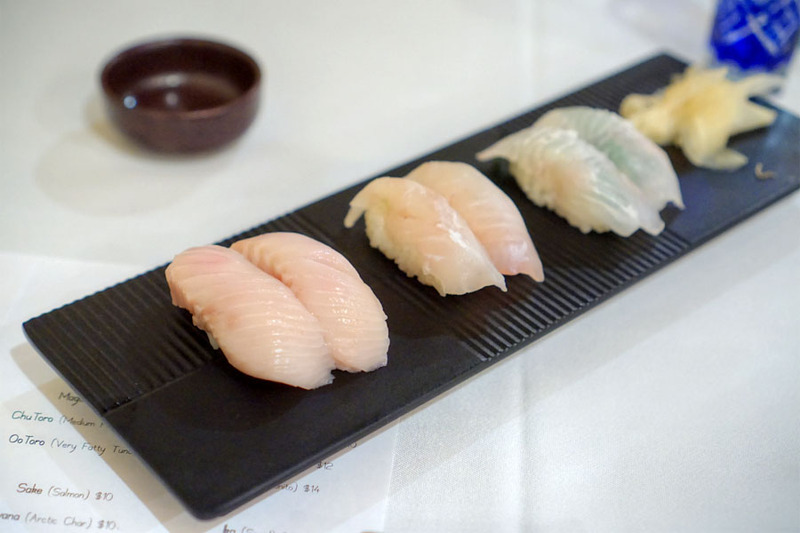 Hirame - This was the lean, back end of flounder, close to the fin (but not engawa), with sea salt, shiso, and yuzu spray. Very clean, bright, with strong shiso and accents of salt. 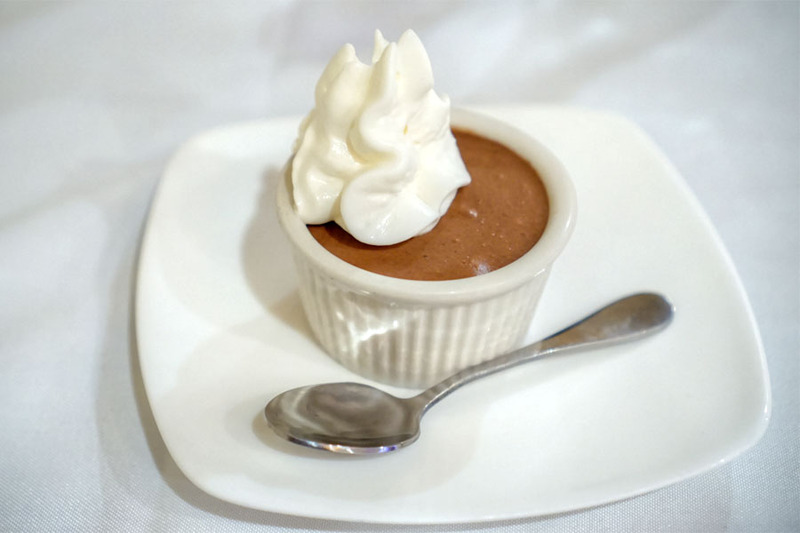 To close: a rich-yet-airy chocolate mousse, with some crunchy bits (cacao nibs?) thrown in for good measure. 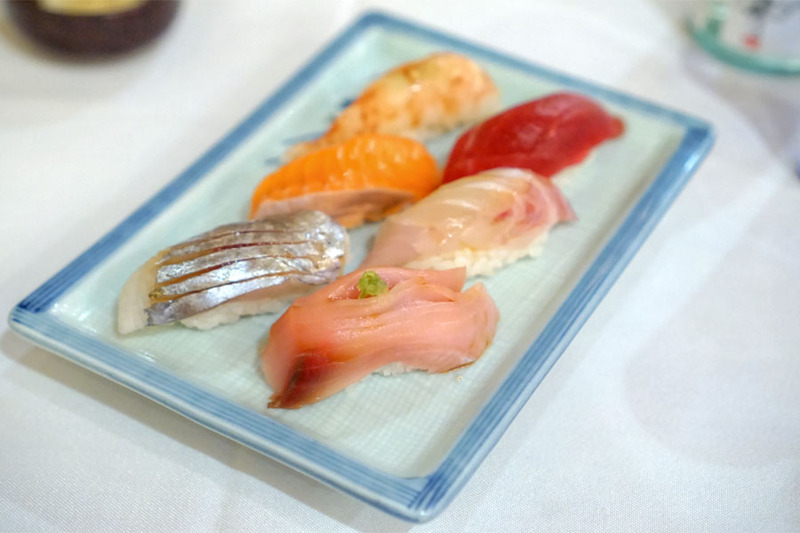 I ended up having an enjoyable lunch at Sushi Ogawa, with no major complaints about the food. The rice here was nice, and had a lightness to it that mostly let the neta shine. 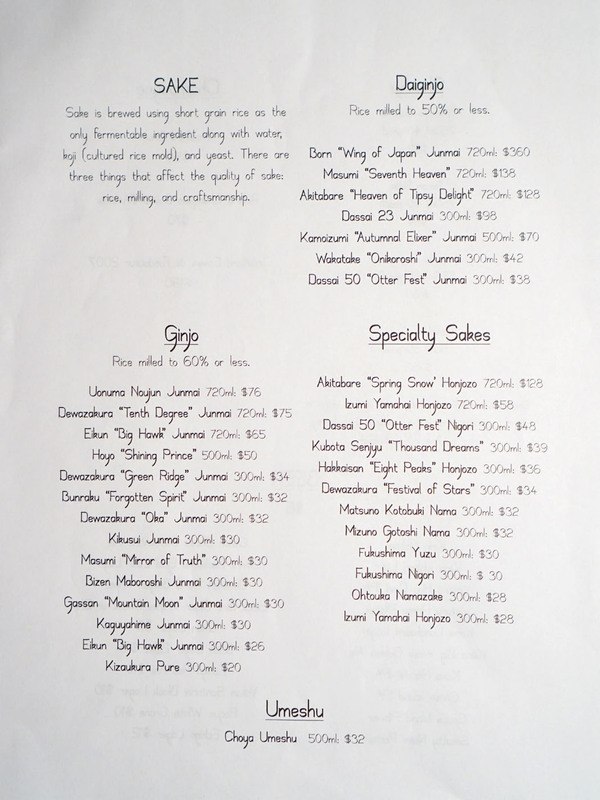 However, I'd have to experience the top-end dinner omakase here to really give the place a go, of course. As for the team's next steps, they're actually planning on opening an even fancier, omakase-only tasting counter at DC's Mandarin Oriental, which is somewhat interesting given that Ogawa spent many years working for the hotel group. The spot, which I've heard will only have a maximum of eight seats, should be opening in the coming months, so that'll be something to look forward to on my next visit to Washington. Sushi Ogawa is the dish I like. This dish is very nutritious, very good for health.